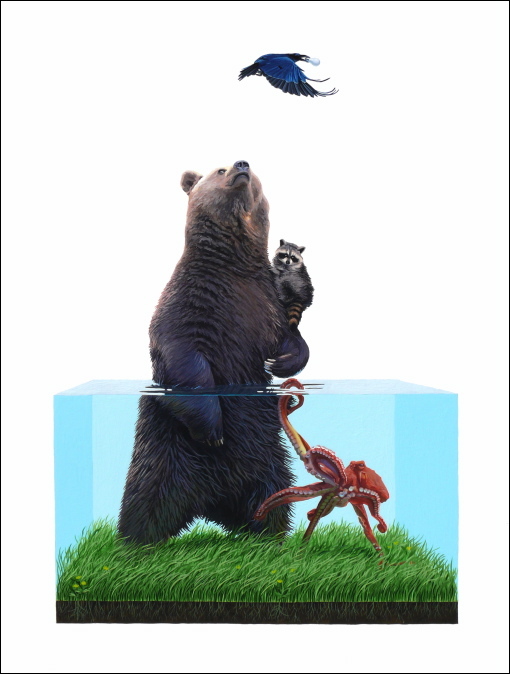 My good friend Jane Ryder just directed me to brilliant painter Josh Keyes‘ website. Keyes creates incredibly rendered animals that inhabit little floating cross-sections of urban wilderness. 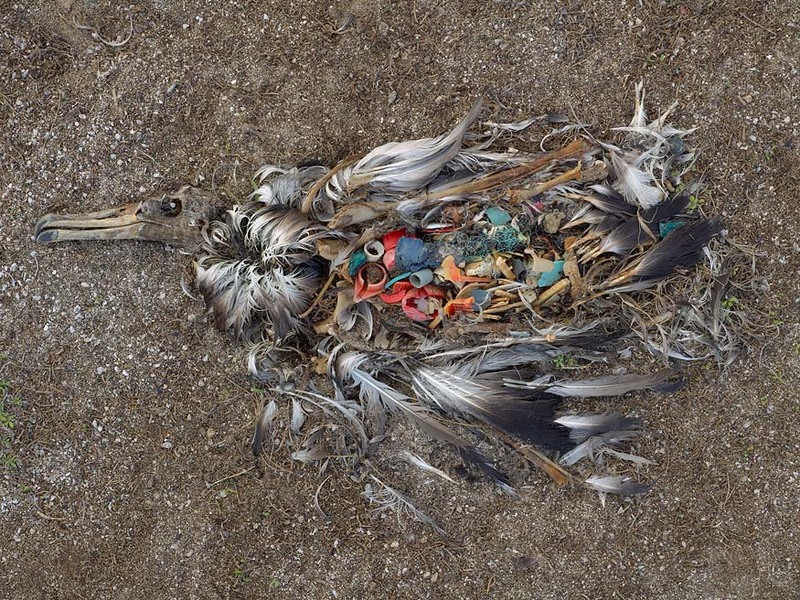 The images give a sense of the apocalypse, a world filled with human detritus but inhabited only by a motley selection of animals. 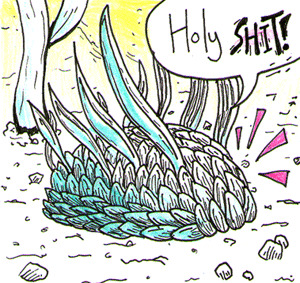 Other times the animals have a more supernatural presence, causing flora or flames to sprout from their antlers or fins. His work is beautiful, and simultaneously heart-warming and quietly chilling.